Update March 14, 2017: Battlefield 1’s They Shall Not Pass DLC is out today, so EA have released the official patch notes. 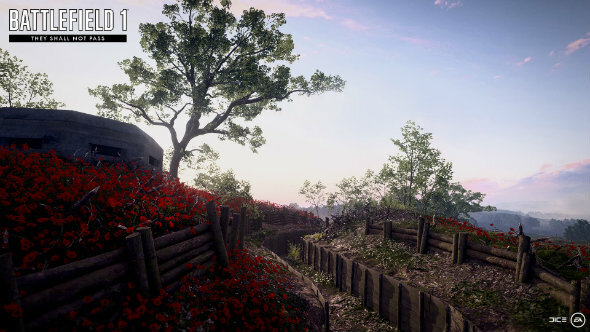 As well as all the new weapons, maps, and other fresh features, the DLC also drops with a patch that adds a bunch of improvements to the WW1 shooter. It’s a different conflict in a different time, but we have a list of the best WW2 games for you to check out. Check out the patch notes below, and read on to find out more about the weapons, maps, classes and vehicles. Every party will now have a party leader, usually the party creator, identified by a star. The party leader is in charge of joining a multiplayer game for the party. All other party members will be notified when the party leader has found a game. A normal party member can still join a multiplayer session but other party members will not get notified for it. As part of an ongoing effort to address excessive use of explosive gadgets and grenades, we changed the way grenades resupply for this release. The goal for these changes is to reduce the amount of grenades available while getting constantly resupplied, as it is common in choke points, without making resupplies unnecessarily long in other gameplay. Similar to some gadgets, all grenades slowly resupply when out of ammo. This resupply is greatly sped up when near an ammo crate. These changes are subject to tweaking in future releases. We are looking to expanding this system to more gadgets in the future. Fixed an issue with certain vehicle gunner seats where the ADS stopped working once the weapon has been overheated. In addition to the End of Round scoreboard, reporting emblems is now possible to do from the in-game scoreboard as well. The previous mid screen popup notification system has been replaced with a new notification system showing notifications in the upper left corner of the screen instead. This improvement has also solved a number of popup related issues. Soldier inventory now properly displays on HUD when option is set to always show. Whole Magazine Reload. This setting will discard all remaining bullets in a clip when reloading. Fixed an issue where new installation of the game and its system files would fail due to missing files. Fixed an issue where the weapon firing animation becomes erratic when looking up or down. Fixed an issue where a flag would appear to be floating in mid-air on Giant’s Shadow’s C objective. Improved messaging for spectators between battalions in Operations. 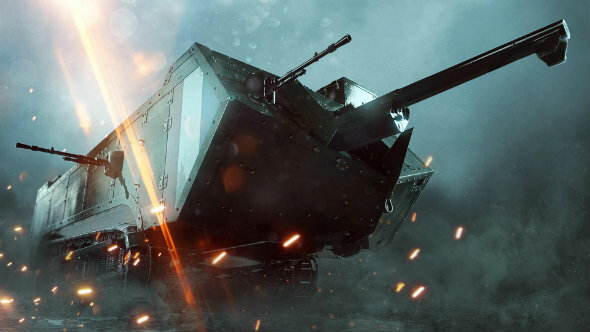 Update March 13, 2017:We’ve heard more about the guns appearing in Battlefield 1’s They Shall Not Pass expansion. Also – hope you’re into improvised melee weapons. 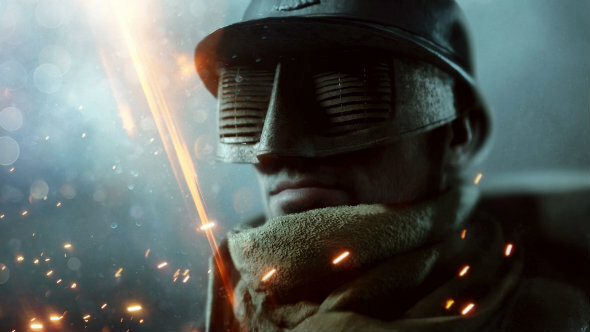 Battlefield 1’s long-awaited French army expansion, They Shall Not Pass, will come to Premium Pass holders tomorrow, and be available to buy two weeks later for everyone else. 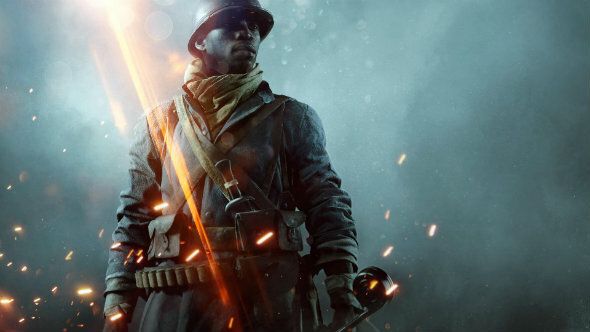 “The hardened veterans of the French Army join the fight in the first Battlefield 1 expansion, They Shall Not Pass,” says the official blurb. 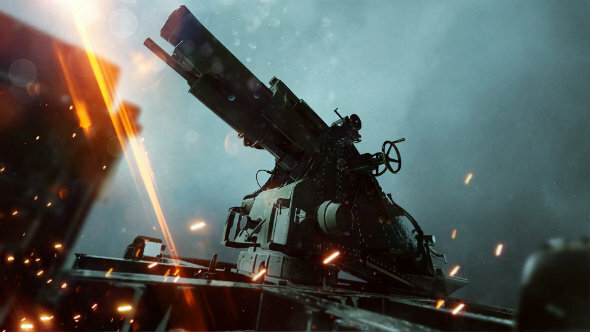 In addition to finally adding one of the main combatants of WW1 to the conflict, the expansion brings four new maps, a new mode called Frontline, a new tank, a new class, stationary gun emplacements, and plenty of weapons – both ranged and smashy. First up are the new infantry weapons, which will need to be unlocked by completing Assignments. A medic rifle that comes with or without a scope, the RSC suffers from a low fire and reload rate – but if you manage to get a shot in, it’ll do real damage. It’s worth noting that long ranges don’t seem to do it any favours either. This LMG has a flashy curved magazine that allows you to fire off 20 shots without taking a pause. It’s a Support class weapon, and is suitably flexible: there’s the option of a scope if you intend to use it for covering fire. Available as a standard infantry weapon or with a bipod and telescopic sight, the Lebel is a sniper rifle that predictably packs a bit of a wallop. One of two new weapons for Assault specialists, the Ribeyrolles doesn’t just roll off the tongue. It also performs as a reliable automatic carbine, with a bipod that means you’ll have more success hitting things with it while prone. The other Assault weapon is perhaps more entertaining – a Swedish semi-automatic shotgun that performs particularly well in the close quarters of the trenches. There are also four new melee weapons, which tend towards the homemade end of things. Probably the least sophisticated melee weapon in a Battlefield game – and certainly one of the nastiest. Just a long, bent nail used to jab people. Sounds like a secret society at a posh UK university. Is actually a standard club with a literal cogwheel on the end, to add a little extra weight to any hit you land on an enemy. Imagine the Nail Knife, but with a fancier name and snake’s head design that doesn’t diminish the fact that it’s being used for up-close shanking. That’s the Trench Fleur. Last but definitely not least is the Raider Club. This is, straight up, a medieval mace that’s every bit as dangerous as its spikes make it appear. 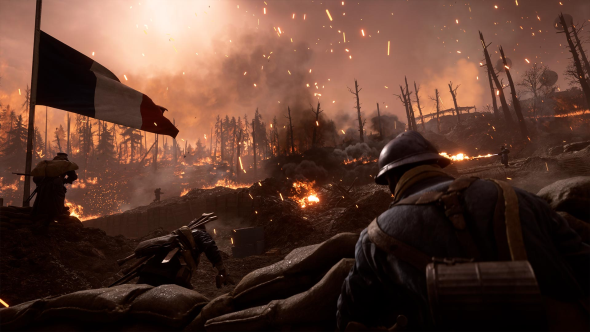 You won’t get to use it unless you’re playing as the Trench Raider, who we go into more detail on lower down the page. From perpetually aflame forests peppered with charred tank-traps and bunkers to cramped fortresses, They Shall Not Pass looks to accommodate every playstyle with a varied selection of battlegrounds. See all four maps below, along with the official description for each. This mode blends Conquest and Rush, chaining together control points in a game of deadly tug-of-war. If you take a flag, the action moves up the map to the next. 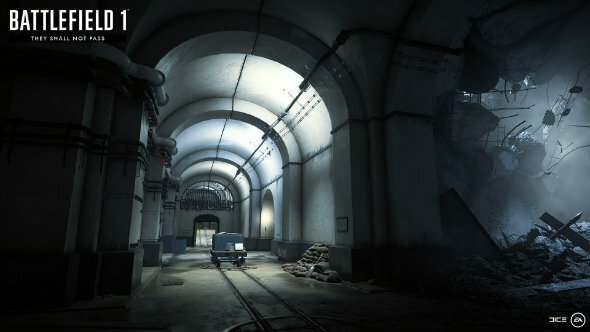 Make it all the way to the enemy base, and it shifts to Rush, with your team tasked with taking down telegraph posts. 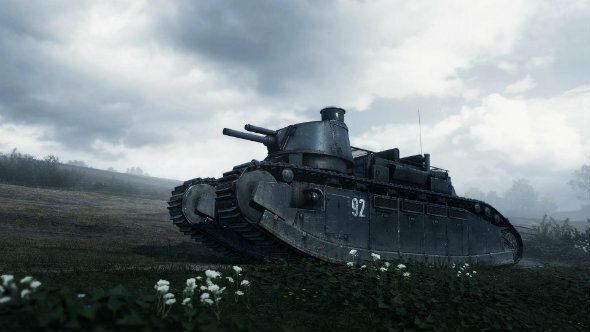 Based on the real-world French tank, this thing is the heaviest armour on Battlefield 1’s battlegrounds. If you’re the kind of person who thinks more is always better, there should be enough guns on this thing to satisfy your needs. It’s like a Swiss army knife in tank form. Operatable by infantry, this massive cannon works similarly to a mortar. Just call it in where you think enemies are likely to be, then watch the fireworks. Armed with a Raider Club and impressive grenade arsenal, this special unit is best suited for tossing grenades into trenches and wading in with a melee weapon in the confusion. Here’s a short teaser that gives us a look at a French soldier and the country’s flag in the background. 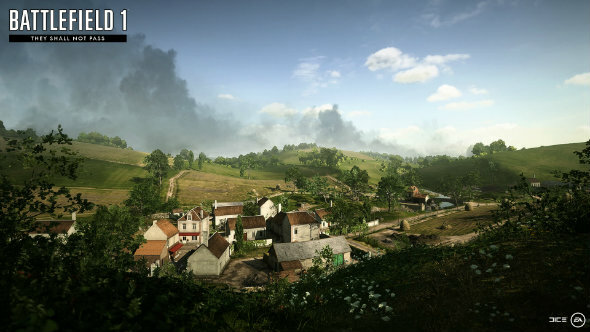 Original Story December 19, 2016: Battlefield 1’s first expansion is launching in March 2017, finally bringing the French (among the main combatants of the conflict) into the fold. It seems we’re being whisked to the chaotic front-lines in Verdun and the surrounding battles. 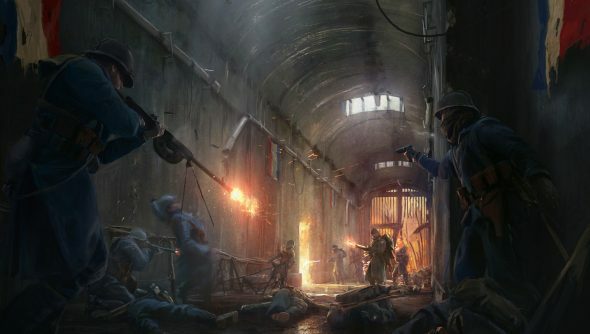 Dice aren’t revealing the maps, but they’re showing off concept art and talking about inspirations. You’ll fight over “charred landscapes, muddy trenches, and close-quarter environments”, they say. Those charred landscapes will seemingly be from the Battle of Verdun, in the Devil’s Anvil, where 40 million artillery shells were fired over the nine month skirmish. 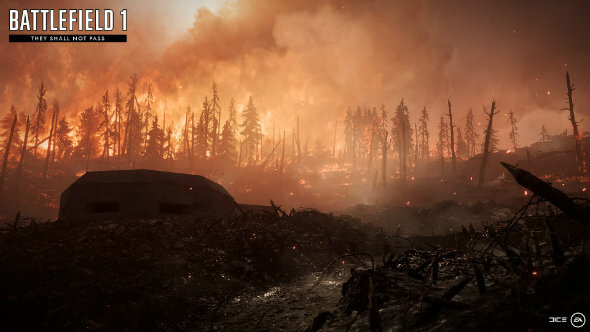 It would have been like fighting in the middle of Hell, bordered by charred trees and fire, with a landscape more battered than a lunar surface. A lot of the fighting here happened in trenches and tunnels beneath the artillery bombardment. Elsewhere you will be fighting over Fort Vaux, a maze of underground corridors that will make for some tense, bottlenecked standoffs. Then there’s the Battle of Soissons, where massive French tank assaults took place, the armour battling for key locations and bridges around the village of Fismes. 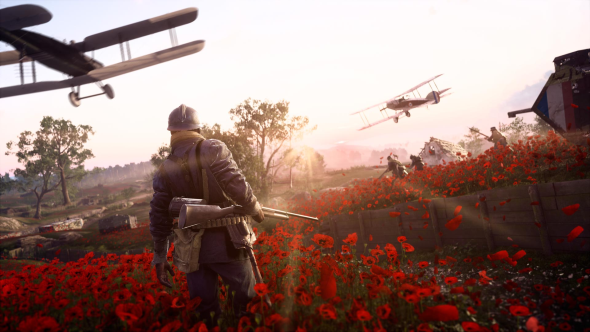 They Shall Not Pass releases in March 2017, and you can get access two weeks early with a Premium Pass. Head over to the Battlefield 1 site to look at some of the concept art.